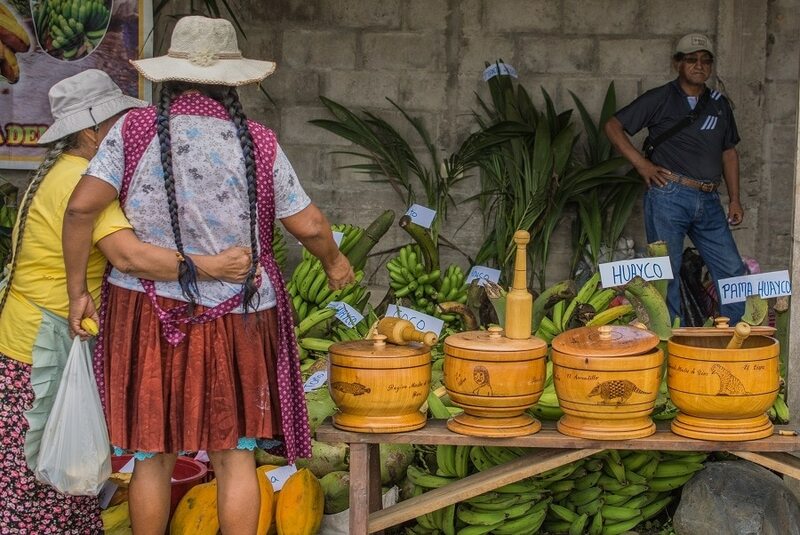 The yearly Banana Fair is a celebration of agricultural and environmental initiatives across the Manu Biosphere Reserve in the Amazon Rainforest, but what is the impact of growing bananas? Bunches of bananas line the fairground as families and friends from across the Manu region gather to sell their produce, swap gossip, and dance the night away. The fair is a cultural mix of indigenous groups and Andean colonists, who started moving from the mountains to the Amazon about 50 years when there were government grants to buy cheap land. People set up homes here to take advantage of the rainforest’s wealth of natural resources – mining for gold and gas, logging for timber, converting the forest into agricultural land for crops and cattle rearing. Bananas are the most exported crop in the region and they form the economic backbone of many communities. Selling bananas is the main way that many people feed their families but sadly this causes a huge environmental problem. Our stall in the centre of the fair aimed to inform and inspire people about our scientific research and environmental education programmes, as well as our community work supporting organic vegetable gardens and agroforestry plots. By helping local producers establish agroforestry plots, here at the Crees Foundation we’re finding solutions to reducing the environmental impact of the most important crop in the region. We provide loans and technical support for producers who want to move away from this practice and set up agroforestry plots, whereby they grow banana plants among a variety of hard and soft wood trees. This provides a more complex habitat for wildlife, keeps the nutrients in the soil, as well as providing the community with quick financial gain through selling bananas and long term financial gain through selling timber. The concept was the brainchild of local man, Reynaldo Ochoa, who works for Crees to help more people in his community farm sustainability. 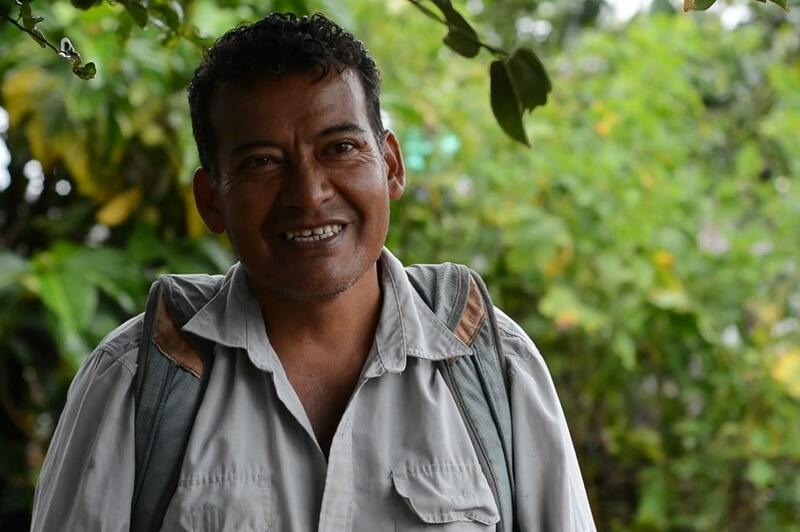 Reynaldo would like to see his community move away from environmentally destructive agricultural practices so that both nature and people can thrive. 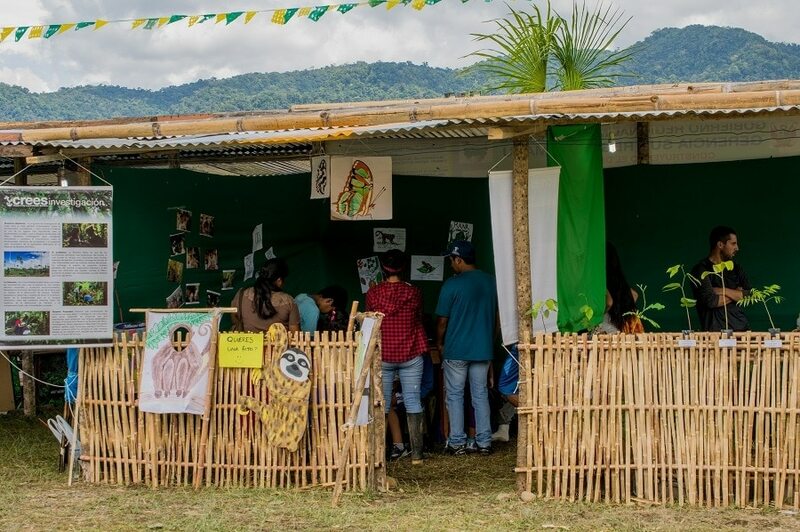 The Banana Fair was an opportunity to share this vision with communities across the Manu Biosphere Reserve so that together we can work towards a sustainable Amazon.